This is an unusual salmon-pink form of L. philadelphicum that was photographed by Frithjof Holmboe of the California Academy of Sciences. 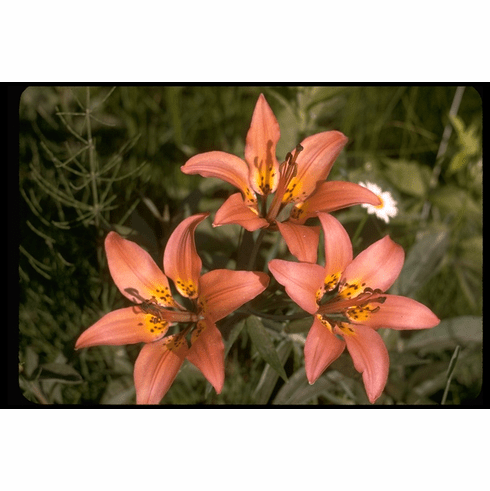 Photographed in the year 2000, no information was given as to location of this particular lily. Photo copyright Frithjof Holmboe. Used with permission.